It's Hump Day! Which in social media world, also means Woman Crush Wednesday. Today I thought I would dedicate my crush to one miss Lea Michele, who in my opinion has some of the most courage, poise, and strength. I used to watch Glee religiously, until the fourth season when I kind of just gave up because they had graduated and I just didn't feel attached to it like before. But that didn't stop me from adoring Lea and Cory as well, and his death affected me like I think it affected everyone. I first thought about Lea and how her heart must have just been absolutely shattered. 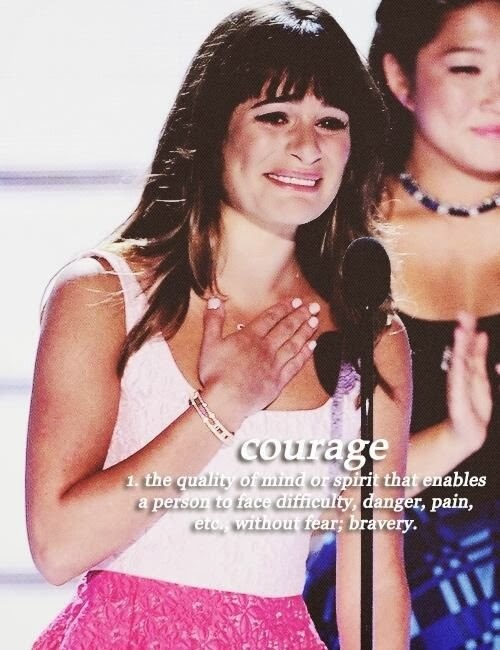 When she gave that speech at the Teen Choice Awards I bawled like a five year old. I just kept thinking "She is so strong." Sometimes I think about her and how she's been able to handle everything and it just gives me hope. Okay now enough with the heavy... she's also insanely pretty and has the voice of angels. She's lovely, that Lea.